I am sharing another card I created with the November release from Your Next Stamp. 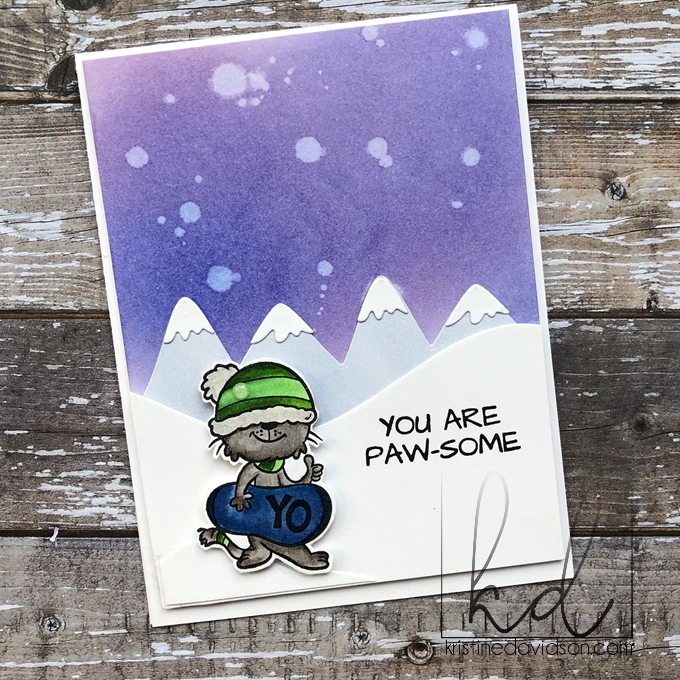 I used the stamp set called Meowy Christmas! No Worries Dog lovers - YNS has a dog set as well called Payliday Pups! I created my background with some Distress Oxide, used a diecut called Snowy Mountains Edge Die Set and Double Pierced Hills Die Set. I find both of these sets together create a great dimensional background. My little cat has a snowboard and on the back it says YO! I colored my design with my zig markers and really like the background. I could have shaded a bit better with my coloring but It's still cute! Visit Your Next Stamp today to purchase your set of stamps and get more inspiration!